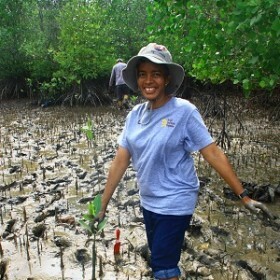 Flora George is the current Administration Officer at Wetlands International Malaysia. She holds the record as the longest serving staff of Wetlands International since taking up the position of Secretary in 1996. She gradually progressed in ranks to serve as the current Administration Officer. Besides handling Administrative and HR related duties, she also assists the Technical team in conducting field surveys and participate in events and exhibitions. She is also in charge of communication duties such as managing our social media Facebook page and the Wetlands International Malaysia website.